The Northern Territory Mental Health Coalition (NTMHC) is the peak body for community managed mental health organisations in the Northern Territory. The Coalition has a network of 200 individuals, organisations and stakeholders including a membership of 35 organisations. 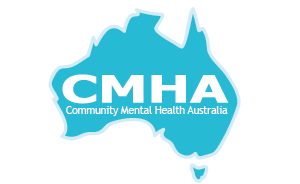 The Coalition is a member of both the Mental Health Australia (MHA) and Community Mental Health Australia (CMHA). The aim of the Coalition is to be a strong voice for member organisations and a reference point for governments on all issues relating to the provision of mental health services in the Northern Territory, engaging regularly and consulting with the community mental health sector, members, and stakeholders. Each year the Coalition supports events for Mental Health Week, including the launch, administering the online calendar, and organising the community Mental Health Awards. A national project reporting on transition rates for Partners in Recovery (PIR), Personal Helpers and Mentors (PHaMs) and Day to Day Living (D2DL) clients into the NDIS has released its first interim update. A joint partnership between Community Mental Health Australia (CMHA) members and the University of Sydney, collated national data on transition rates of clients across the three programs to show rates of eligibility for the NDIS, the number of clients not applying for the NDIS and the reasons why individuals are deciding not to apply. Interim Report, Phase 1. December 2018. This is an important project which will help to ensure real and accurate data about the transition to the NDIS. Mental Health Australia is managing an exciting project which aims to develop alternative ways to provide support for NDIS participants with psychosocial disability than those currently on offer at this stage of NDIS rollout. Over the coming months, Mental Health Australia will be working with consumers, carers and other experts through a Delphi process to refine a set of alternative typical support packages. To learn more click here. The National Indigenous Critical Response Service (NICRS) has been funded by the Commonwealth Government of Australia through the Indigenous Advancement Strategy, to provide a critical response to support individuals, families and communities affected by suicide-related or other trauma that is culturally responsive to their needs and to strengthen community capacity and resilience in communities where there have been high levels of suicide to better recognise and respond to critical incidents and strengthen service system coordination. To learn more about the NICRS click here or call our head office on (03) 8578 1410. The Mental Health and Suicide Prevention Service Review 2017 has now been completed. A forum for all interested stakeholders was held on 22 January 2018 in Darwin. This was an opportunity to discuss the findings and recommendations of the review. A further forum was held in Alice Springs on 15 March 2018. In conjunction with the report the NT Mental Health Coalition contributed to an article on Croakey (independent, in-depth social journalism for health) 19 January 2018 about the mental health and suicide prevention service review undertaken for the Northern Territory Primary Health Network (NTPHN). Click here to view the article. To view the CMHA Advocacy & Representation page please click here. For a link to the accredited Mental Health First Aid instructors in the Northern Territory click here. For a link to accredited Mental Health First Aid instructors Nationwide click here. The sane forums are a safe, anonymous online community for people living with mental illness and their families, friends and carers. 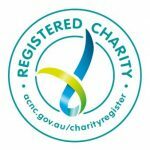 SANE Australia is inviting NTMHC members to join this free program, simply by integrating the service into their websites. These partnerships with community mental health organisations are vital for promoting the forums into metropolitan, regional, and rural communities around Australia. 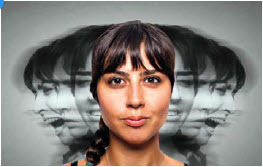 In 2018 SANE Australia conducted a survey asking Australians how they wanted mental illness to be represented in images. With over 5,000 participants, the majority of those having a lived experience of mental illness, the survey results gave a clear indication of the types of images that contribute to stigma and which images portray a fair and accurate representation of living with a mental illness. For the survey report please click here.